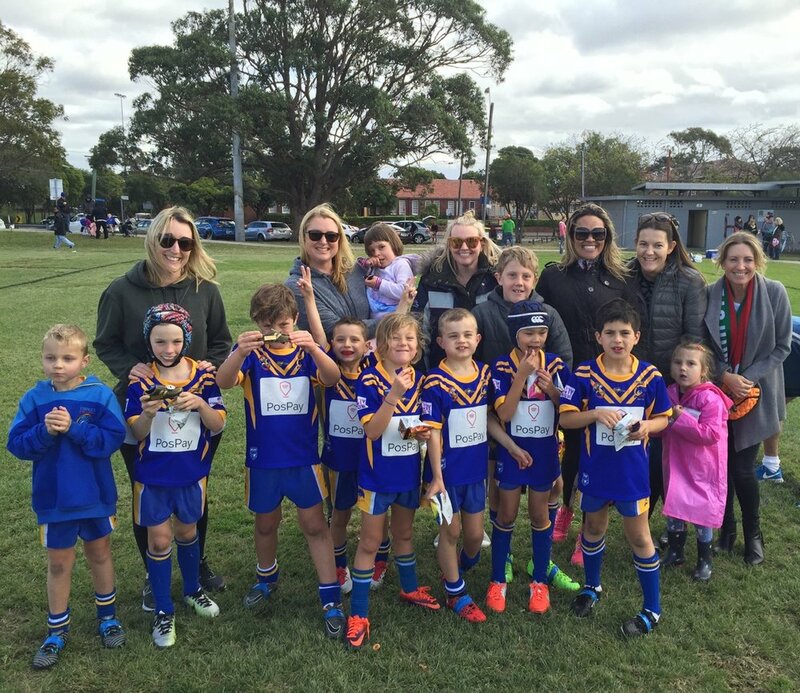 There is not a Sports club in Australia like the Coogee Dolphins. It has become an iconic brand across the community for exactly that - being a wonderful community. 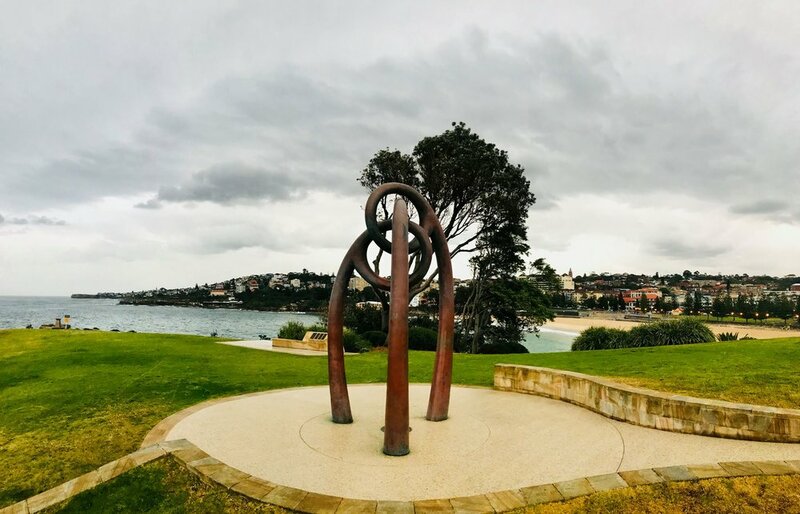 Forged on the tragedy and loss of its people in the Bali Bombings its fitting and right, that the Coogee Pavilion is now home. The iconic building looks out over Dolphin Point which is the home of the Bali Memorial. This Club is one that has never wanted pity. It has always been about never forgetting the tragedy in Indonesia on October 12, 2002. But it is about doing something constructive and honouring the legacy of the people we lost by making a difference for others on and off the sporting arenas. The club has raised over 300 thousand dollars for the children’s hospital and Ronald McDonald house and they have only just begun. They are a sports loving, people loving club and are in the community to make a difference. The Dolphins have their spinnaker up! We are ready for 2019. Join us at Kensington as we pay our respects to Shane and remember him in this great game. Let's all make the game a positive experience for our young players. Mothers day with the Dolphins. Happy Mothers day to all our Dolphins mums this weekend. We appreciate everythign you do. We've announced our golf day. Channel 9 and the Footy Show is back. The Dolphins are back at Kensington Oval. The Dolphins are going back to Kensington oval fro training every Tuesday and Thursday from 5-8pm. All players of any ability are welcome. Juniors 4-16 and Seniors A and A Reserve. 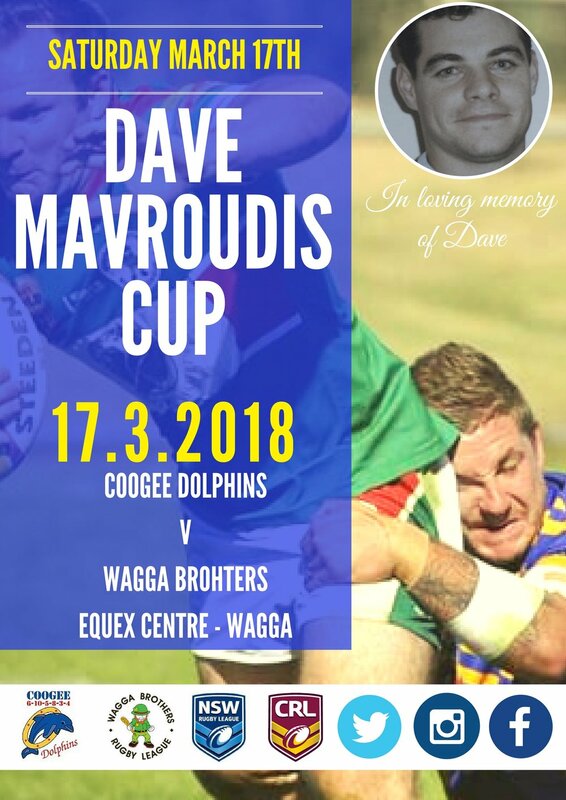 MATE OF ORIGIN THIS SUNDAY: 12pm - BURROWS PARK CLOVELLY. 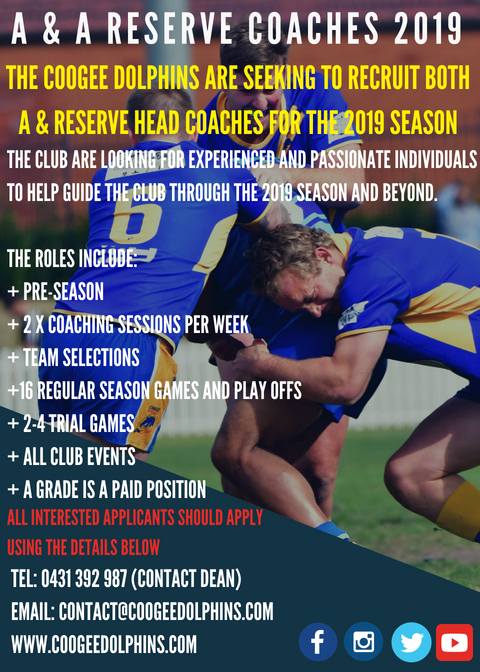 Pre-season starts next Tuesday, everyone is welcome. 15 years on. Always remembered, forever with us. End of season GRAND FINAL CHAMPIONS & 2 wins in Jacksonville and Chicago.